Experiencing Rheumatoid Arthritis: Happy Birthday, Grandma! 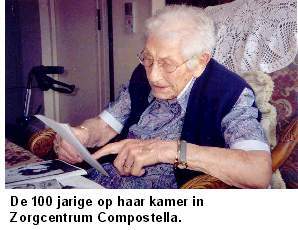 It's grandma's 100th birthday today! 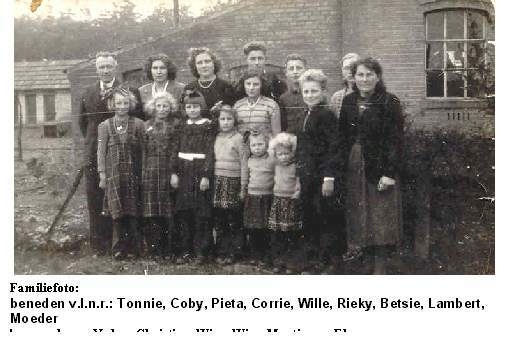 Born on February 23, 1906, she was one of the 8 children my great-grandparents had. Greatgrandpa had a small grocery store and also went by the farms to sell his merchandise. Grandma never got to finish elementary for she had to leave school in 7th grade to help her father going by the farmers. 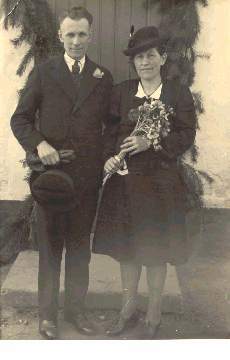 She met grandpa, who was a farmers-hand at that time, when she was 21 and on May 8th, 1930 they got married. After being married for a while and grandma still not being pregnant, they went on a "pilgrimage" to a man who was well-known to be a mediator between God and others. His prayers for others were always granted and my grandparents asked him to pray for God to bless them with children. It worked. A little too well, for 13 kids later, grandpa went back to that same man to ask him to please, make it stop, haha. 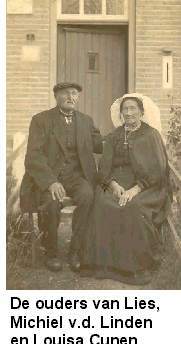 When they had their first 5 kids, they bought greatgrandparents house and started a chicken- and pig-farm and dealt in grain and flour. All kids, except the youngest 2, never got to finish elementary but had to help out at the farm and make money. Times were difficult, but slowly things got better. 24th drivers-tests (yes 24!) 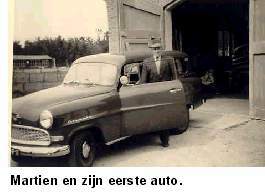 later and failing again, grandpa decided to bribe the examinator, got his drivers-license and bought his first car. In May of 1985 they celebrated their 55th Anniversary and in November of that same year, grandpa died. Grandma had her share of health problems. At the age of 90, she had a hip replacement and two years later she lost both her breasts due to breast-cancer. Mentally she is still very much up to date. She is being taken good care of in the elderly home she is in and enjoys life to the fullest. She out-lived all her brothers and sisters and suffered the loss of two of her daughters and one grandchild. 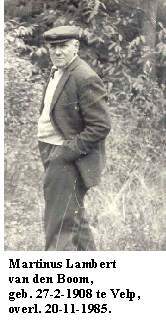 "I had a long marriage and got besides 13 children, 26 grandchildren and 45 great-grandchildren. Are you not blessed then? I intend to go on for a little while longer....if God allows." That's a lot of livin'! WOW! Happy Birthday to her! What a strong woman she must be! Corry, hope you are doing well! =) Missed ya! It sure is and she still enjoys it! Raising all those kids and working almost all her life, I guess she must be strong. That's an amazing life and she's still enjoying it...so great...Happy Birthday to your Grandma! What a great blessing to us that your grandma was blessed with children and grandchildren! She sounds like a wonderful lady =] I hope my parents and in-laws can be around for their grandchildren for decades to come. I too hope both your parents and in-laws will be around for a loooong time. No Claire, all of them are my aunts and uncles. Corry is my aunt, who unfortunately died of cancer several years ago. She was their 4th child and will turn 70 on April's fools day this year. Hi - I've linked to you, will you be willing to link back? Welcome and thanks for the visit. I will be honest with you. I read your blog and your sexual orientation is in direct conflict with my understanding of the scripture and I cannot support it. I am sorry you are in such pain and please know, I will include you in my prayers. I love your story of your Grandmother. You need to write more stories of her life. It's amazing what some people go through and like the Timex watch commercial, she takes a licking and keeps on ticking. Your Granmother is certainly one strong lady. Someone you can look to for strength. And know if she did it, you can to. Send her a Happy Birthday wish from the Lincoln Family. Praise the Lord. This touches me a lot. I love my 92 year old Grandma and I hope I can be that old to see the great faithfulness of God to my family. God bless your Gram! I may put up some posts about her life. It's amazing how much she saw changing in her life. Thanks for the birthday wish. I wish she could read it, she would be so pleased! Wow, your grandma is of a good old age herself! I pray she has many more years ahead of her. Maybe we don't need to get so old to see God's faithfulness to our family, I think it may already obvious:-) I do hope though you get very old, I plan on 94 myself, hehe, God willing! What a neat post!!! Happy birthday to your Grandma. Maybe you should print this post and these comments and then mail them to her! My own Grandma has been gone for many years, and I miss her still. Blessings to you and to her. Thanks for continuing to come and read my blog and leave your sweet comments. Thanks for the suggestion to print and mail, I didn't think of that. Oh Corry...I'm crying joyful, sentimental tears. Your Grandmother is priceless! She is a wealth of stories and wisdom I'm sure.